No-Muv Corp. Inc., a family owned business, and "Creators of the Most Respected Names in Quality Padding," offer no slip rug padding solutions for use on any hard floor including; wood, tile, stone, brick, terazzo, laminate, etc. Our no slip solutions even work on highly waxed or polished floors and prevent wrinkling, bunching and creeping. Our padding is hypoallergenic, completely synthetic - no plant or animal fibers to aggravate allergies. With premier padding products, Rug-Chek Plus, No-Muv, Dura-Hold Plus, Long Life and our newest padding, Omni Pad No-Muv Corp. Inc. offers a quality padding solution for whatever your needs are. We even back our products with a 10 Year Limited Guarantee. 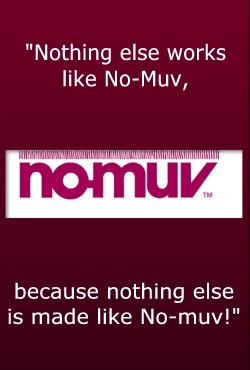 Contact Us today and we will explain what benefits No-Muv Corp. Inc. offers for your padding solutions.